“The opinion in these cases proceeds, it seems to me, upon grounds entirely too narrow and artificial. I cannot resist the conclusion that the substance and spirit of the recent amendments of the Constitution have been sacrificed by a subtle and ingenious verbal criticism. And then imagine where we would be 130 years later if SEGREGATION had been defeated DEMOCRATICALLY as the result of the 646,392 deaths in the Civil War, the 13th, 14th and 15th Amendments and the Constitutionally authorized ex industria statute laws of our representative democratically elected LAW MAKERS intended March 1, 1875!!!!!! Instead of the PROMOTION and MAINTENANCE of SEGREGATION BY a malicious, corrupt, dishonest, sincerely ignorant and conscientiously stupid SUPREME COURT!!!!!!!!!!!!!!!!!!!! Please do not let “supreme court” RULE!!!! The Supreme Court has no authority to defeat the “necessary and proper” thus constitutionally authorized “sense and reason” of the ex industria statute laws of We the People!!!!!!!!!!!!!!!!!!!!!!!!!! We are SLAVES to the Black Robed, Royalist, Article III, Supreme Court’s assertion of “absolute immunity for all!!!! I am not the crazy one!!!! As examples of the Judicial sophistry, that has corrupted We the People’s unalienable rights under color of law, I submit, Randall v. Brigham, 74 U.S. 7 (1868) the origin of judicial criminal sophisticated “absolute immunity,” Bradley v. Fisher, 13 Wall. 335 (1872) origin of sophisticated Judicial civil “absolute immunity,” Blyew v. United States, 80 U.S. 581 (1871) sophisticated “absolute immunity” for racially motivate mass murder, United States v. Reese, 92 U.S. 214 (1875) sophisticated deprivation of the 15th Amendment’s Voting Rights protection with the subterfuges of poll taxes, literacy tests, and grandfather clauses, United States v. Cruikshank, 92 U.S. 542 (1875) sophisticated “absolute immunity” for racially motivated massacre (Colfax Riot/pogrom), United States v. Harris, 106 U.S. 629 (1883) sophisticated “absolute immunity” for the state’s sanctioned kidnapping, assault and murder without regard to the 14th Amendment’s security, Civil Rights Cases, 109 U.S. 3 (1883) creating sophisticated racial segregation and the ongoing Jim Crow discrimination over the “necessary and proper” “Act to protect all citizens in their civil and legal rights." 18 Stat. 335, enacted March 1, 1875, Plessy v. Ferguson, 163 U.S. 537 (1896) separate and UNEQUAL, clarifying sophisticated segregation over the necessary and proper "Act to protect all citizens in their civil and legal rights." 18 Stat. 335, enacted March 1, 1875, Pierson v. Ray, 386 U.S. 547 (1967) reaffirmed Judicial sophisticated “absolute immunity,” Imbler v. Pachtman, 424 U. S. 409 (1976) prosecutorial sophisticated “absolute immunity,” Stump v. Sparkman, 435 U.S. 349 (1978) sophisticated “absolute immunity” for forced sterilization, and Briscoe v. LaHue, 460 U.S. 325 (1983) sophisticated “absolute immunity” for “knowingly false testimony by police officers," and “all persons that were integral in the Judicial Process.” If that is not ABSOLUTE CORRUPTION of We the People’s intent to establish justice, I can not imagine what is. 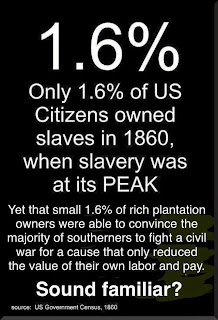 Only 1.6% of U.S. Citizens in 1860 owned slaves, when slavery was at its peak. 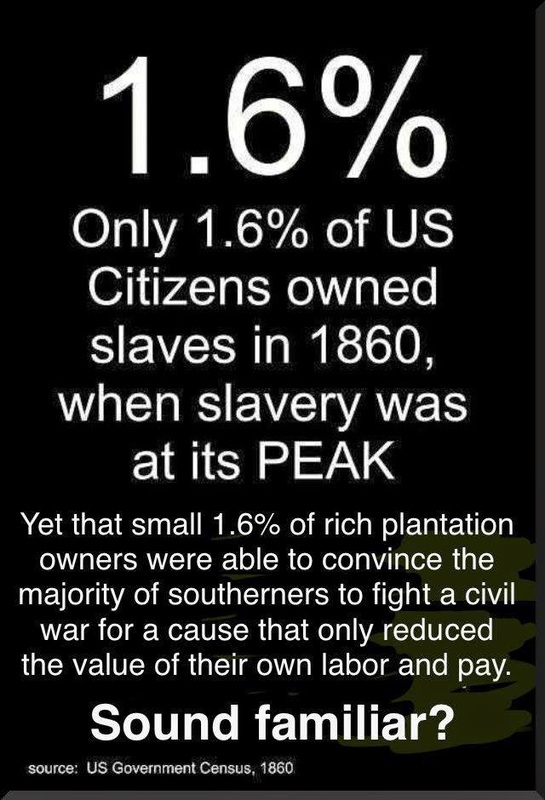 I would venture to say that 98% of the “free state’s” citizen in 1860 had never seen an African American beyond those, dressed in their finest, that the abolitionist brought by to show corruption of and to abolish slavery. 98% of the “free state’s” citizen in 1860 had no knowledge of or prejudice against African American Slaves. The oligarchy of the Supreme Court FORCED IT UPON "We the People" their sovereign!!!!!!! My QUESTION is how did the UNQUALIFIED governmental liability for RIGHTS i.e., the “property in rights” as asserted by James Madison (1792) and the Revolutionary War, Civil War, Constitution, World War I, World War II and the “statute’s (§1983) raisons d'etre” get reduced??? 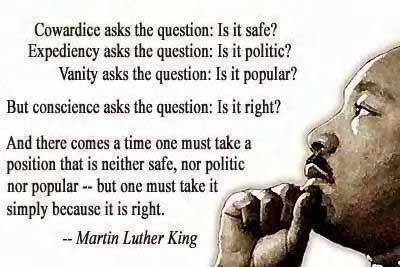 Do we have to invest more lives to again establish an Individual’s property in RIGHTS??? We the People have fallen under the despotic spell of the constructed “excess of power” in the Supreme Court that has constructed ABSOLUTE POWER from ABSOLUTE IMMUNITY for the “malicious or corrupt” judges, the “malicious or dishonest” prosecutor,  the “knowingly false testimony by police officers," corrupt, malicious, dishonest, sincerely ignorant and conscientiously stupid actions of federal, state, local, and regional legislators are entitled to absolute immunity” and the malicious, corrupt, dishonest, sincerely ignorant and conscientiously stupid actions of “all persons -- governmental or otherwise -- who were integral parts of the judicial process”  acting under color of law to render ABSOLUTE CORRUPTION of inalienable rights under color of law. “Immunity is given to crime, and the records of the public tribunals are searched in vain for any evidence of effective redress.” “The courts are in many instances under the control of those who are wholly inimical to the impartial administration of law and equity.” I say it NOW, Thursday, December 05, 2013!!! Justice William O. Douglas said it in 1961 and 1967. Mr. Lowe of Kansas and Mr. Rainey of South Carolina respectively said respectively said it originally in 1871 at the passage of the Civil Rights Act of 1871 (now codified in Federal Statute laws as Civil 42 U.S.C. § 1983 and 1985).